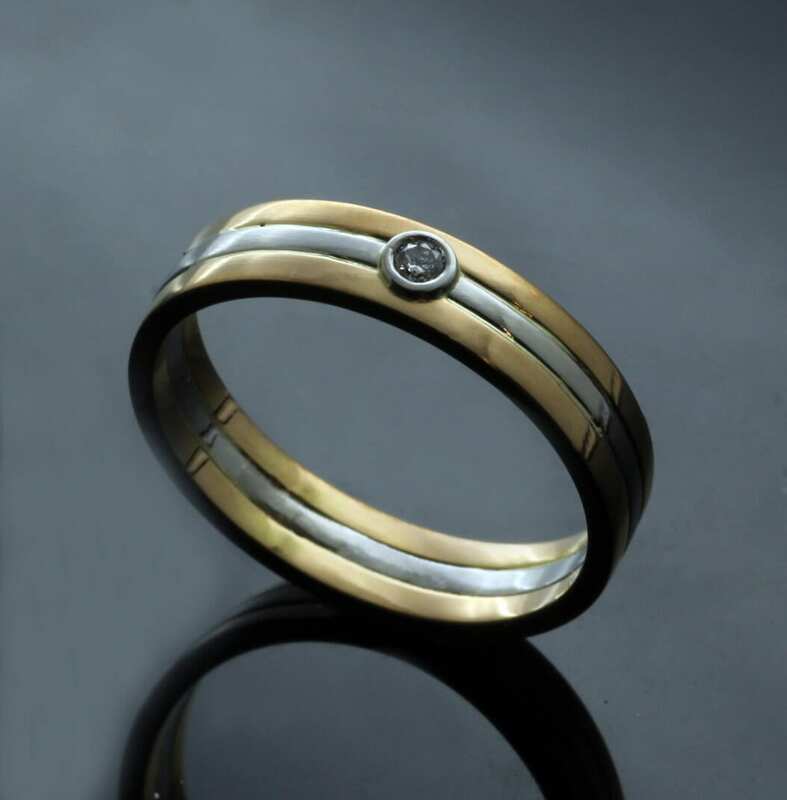 This beautiful wedding band is a unique piece from our Bespoke portfolio, designed and handcrafted by our master Goldsmith Julian Stephens in collaboration with a client. A glorious flat wedding band is hand crafted from an opulent combination of twin bands of solid 22ct Yellow Gold and a centre band of solid Platinum to create this sleek, contemporary design. This beautiful commissioned wedding ring is finished with a 0.5ct Round Brilliant cut Diamond which is expertly collet set in Platinum to create a dazzling centrepiece to this unique and highly personal design. This truly special custom made solid Platinum and Gold wedding band is finished with a rich, glossy polished effect to make these luxurious materials dazzle and shine and includes Julian Stephens exclusive makers mark and Hallmarking as a sign of its supreme quality and craftsmanship.